Boston City Hall was an atrocious waste of space when it first rose above the grave of Scollay Square in the 1960s. It’s been that way during all of Mayor Tom Menino’s 20 years in office, and the building won’t be any kinder to the person who replaces him in January. The seat of city government is the worst building in the city, and it’s dragging down the downtown neighborhood surrounding it. 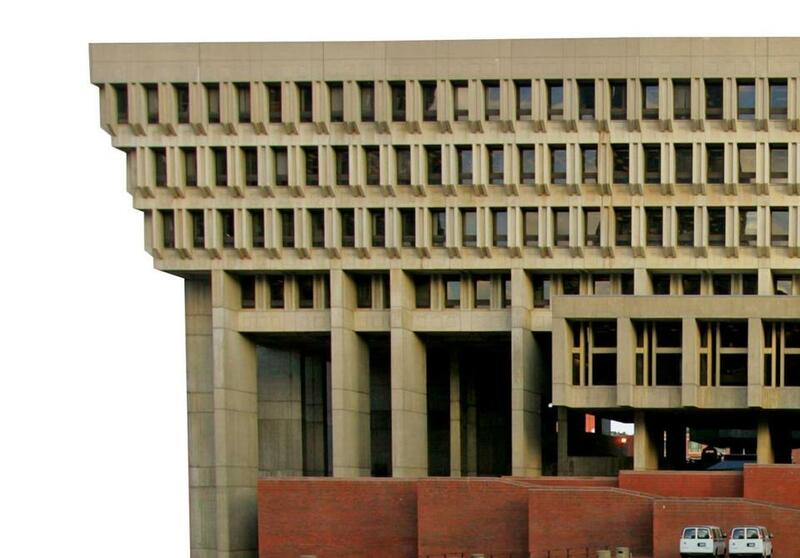 Boston’s next mayor should walk into City Hall with one thought in mind: tearing the building down. Nagging details brought down the proposal to demolish City Hall both times it surfaced in recent years. Menino’s initial bid at dumping it, announced in late 2006, ran aground because it came coupled with a bizarre plan to erect a new City Hall deep in the South Boston waterfront. Walsh’s election-season rehash of the failed idea made it easy fodder for rival campaigns. Still, the demolition proposal isn’t unworthy just because it’s familiar. Bostonians have long chafed at City Hall — going all the way back to John Collins, the mayor who oversaw the design competition that gave birth to City Hall, but who yelled out in horror upon seeing the building’s design. The hulking brutalist concrete structure is beloved by a small group of modern architecture fans in Boston, but it’s panned as the city’s ugliest building by almost everyone outside that tiny club. City Hall is so ugly that its insane upside-down wedding-cake columns and windswept plaza distract from the building’s true offense. Its great crime isn’t being ugly; it’s being anti-urban. The building and its plaza keep a crowded city at arm’s length. It disperses crowds, instead of gathering them together. It creates an island of inactivity, several blocks long and wide, in the middle of what is otherwise a bustling commercial district. It’s as if the complex’s architects vowed to make up for the bawdy sins of Scollay Square by creating a space that no one would ever want to congregate around. The primary function of cities is clustering people together, but City Hall goes to great lengths to repel them. This is not a political problem, but a design one. Walsh rightly notes that cities work best when they handle multiple shifts of activity in one place, where office workers and after-work diners and residents all mingle. This is the great victory of the Back Bay, and it’s the direction huge swaths of Boston, from North Station to the Seaport, are headed in. As long as City Hall stands, it creates a part-time neighborhood in a full-time city. The costs of letting City Hall stand are far steeper now than they were in the urban renewal era, when downtown land was at a surplus. Downtown Boston is running out of office tower development sites. Boston only has six major office development sites left downtown. It needs to find new room to grow. City Hall and the surrounding plaza could easily yield four new towers in a part of town that’s desperate for new land, and urbanize a part of town that’s been dark for half of a century. That’s not a political platform. It’s a map to the city’s economic future.